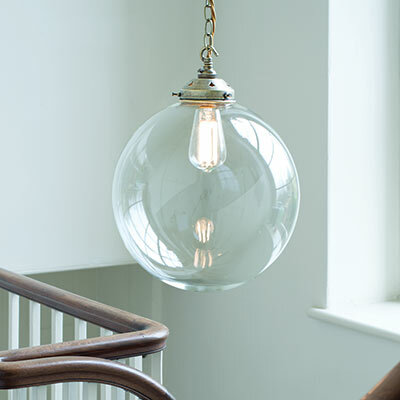 This eye catching Jim Lawrence pendant light features an oversized, hand blown clear glass shade that plays with natural light in the most wonderful way, ensuring it looks stunning wherever it is hung. 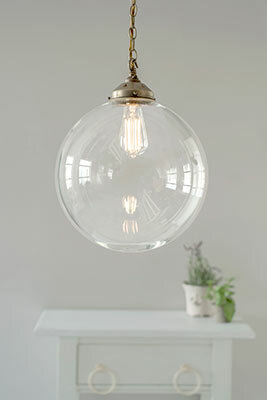 The clear glass shows off the bulb inside giving the Richmond a more contemporary look than our other pendants, and despite its generous size, it has a lightness that makes it look as though it is suspended in mid-air. 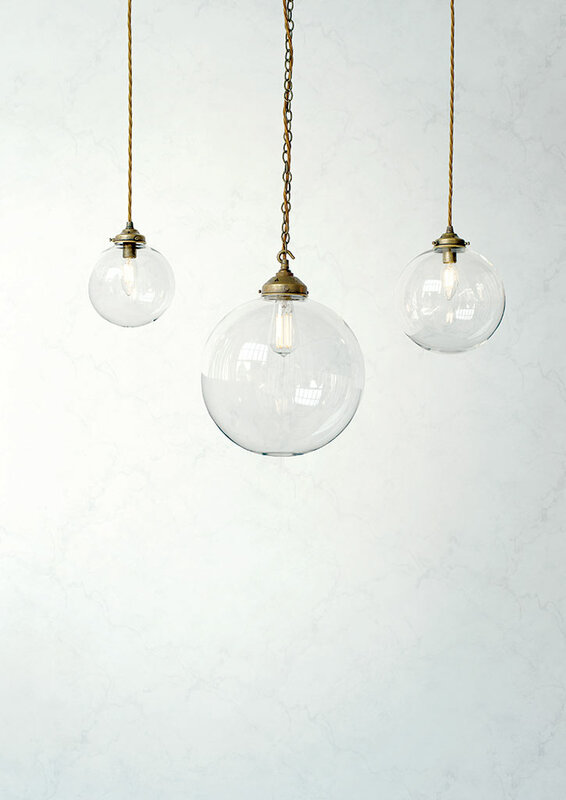 Big brother to our smaller Holborn range, the Richmond is designed to take centre stage in larger kitchens, bedrooms or homes with high ceilings. It looks fantastic with a twin hanging over a breakfast bar or suspended from a vaulted ceiling in a converted barn, loft space or hall. 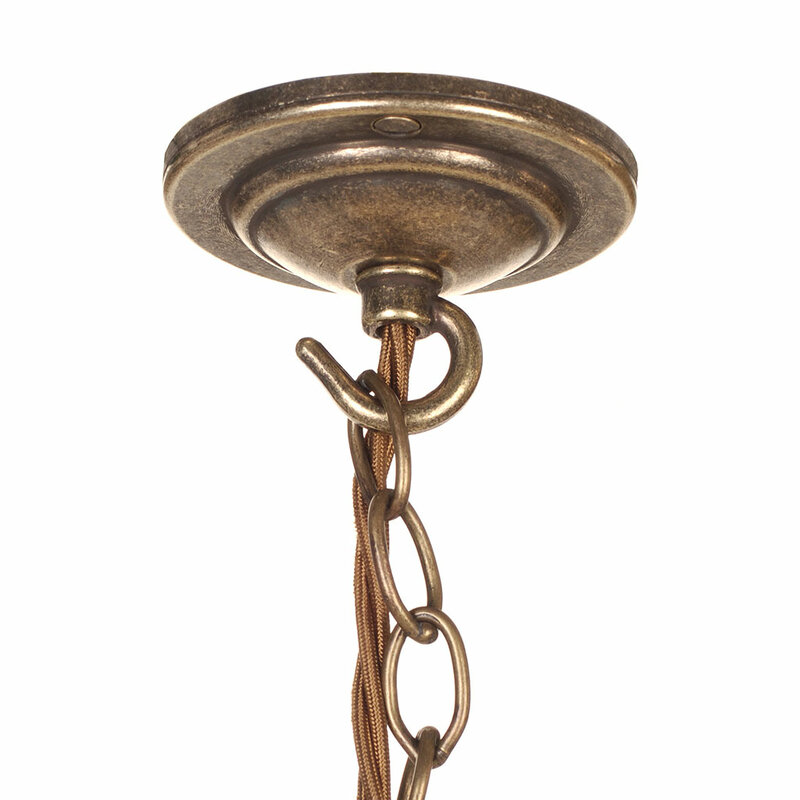 Made from solid natural brass that has been lightly antiqued for an aged look and supplied with 1m of bronze brown braided cable and chain and our Georgian ceiling rose in the same finish, the Richmond has a classic heritage look that sums up country modern living. 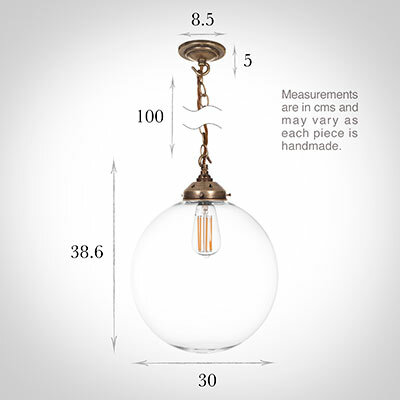 Fitting Option: can be supplied with an E14 (Small Edison Screw) bulbholder for Europe. 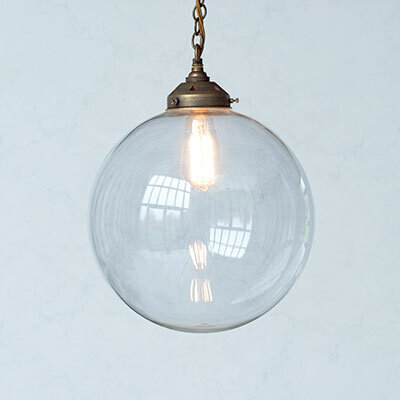 Hung on its own or in a pair over a dining room table, breakfast bar or kitchen island. 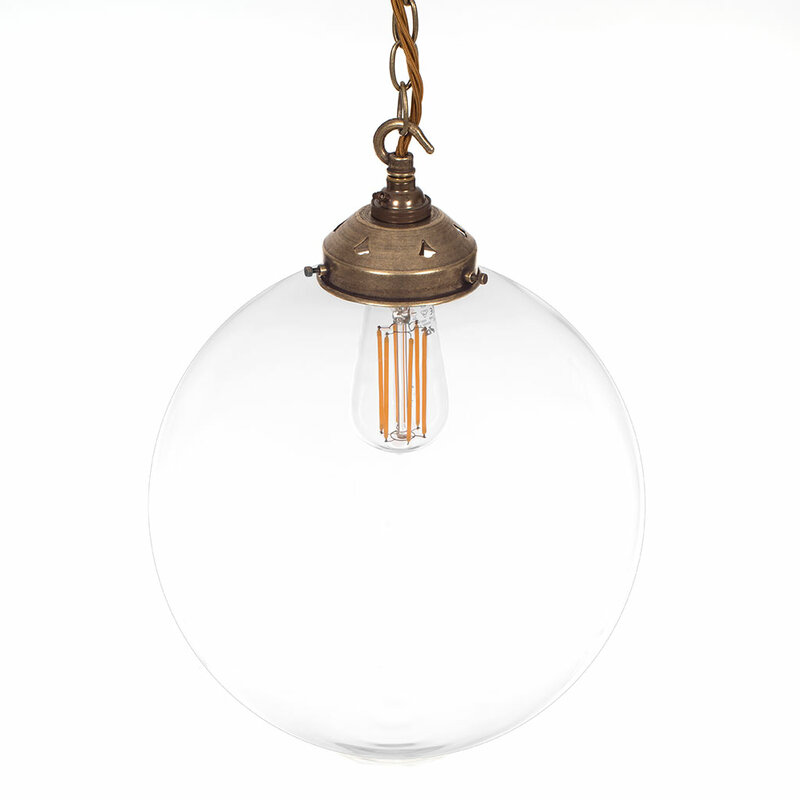 Suspended from timber joists in a vaulted ceiling or taking centre stage in a living room or bedroom with a high ceiling. 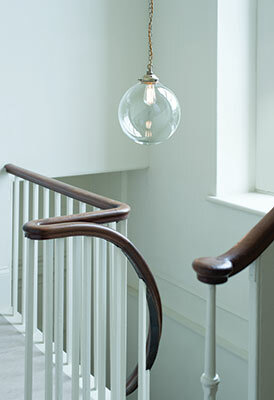 As the main light in a hallway or porch. For a smaller alternative, browse our Holborn range of pendant and flush fitting ceiling lights that include our charcoal grey, dusty pink and greeny blue coloured versions, as well as our outdoor and bathroom options. Our Compton has a similar styled shade if you are looking for a matching wall light. We recommend our 7.5W Classic GLS LED bulbas the perfect accompaniment to your pendant light. 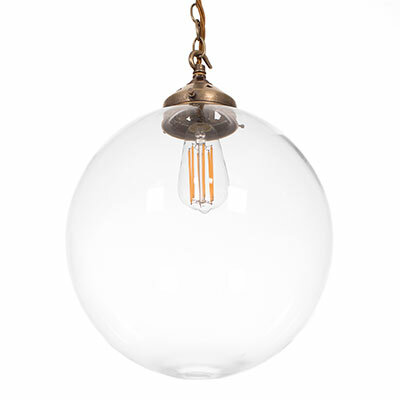 Such a gentle, handsome looking light that is perfect for a hallway and the staff were very helpful. I am astonished at how well made the lamps are. We have them in our kitchen and they look wonderful.